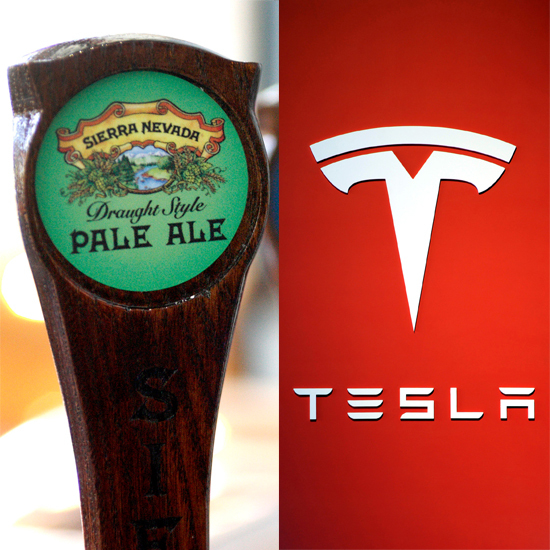 Not that you should have any reason to feel guilty about your beer consumption (trust me; I don’t judge), but in case you were looking for some positive news to help validated your next round at happy hour, Sierra Nevada Brewing recently announced it’s made its beers even more environmentally-friendly thanks to some help from electric car innovator Tesla. The California-based brewer believes it will be able to offset around 20 percent of its annual electricity use thanks to the installation of a new 500 kilowatts/1 megawatt-hour Tesla Powerpack system at its Chico brewery, a move that could significantly reduce the company’s electricity spending by avoiding higher costs during peak usage times. According to Greentech Media, in 2016, Sierra Nevada’s demand charges from these peak periods actually cost more than the entire rest of the brewery’s electricity bill. Plus, beyond the financial benefits, using energy saved in the Powerpack will take some stress off the energy grid in general. As the site Electrek points out, Sierra Nevada was already named “Green Business of the Year” by the EPA back in 2010. So what I’m saying is that even though drinking a few Hop Hunter IPAs won’t necessarily make the world a better place, it’s not like it’s doing a ton of damage either – as long as you recycle those bottles. And maybe enjoy outdoors during the day to save on your own electricity bill as well.